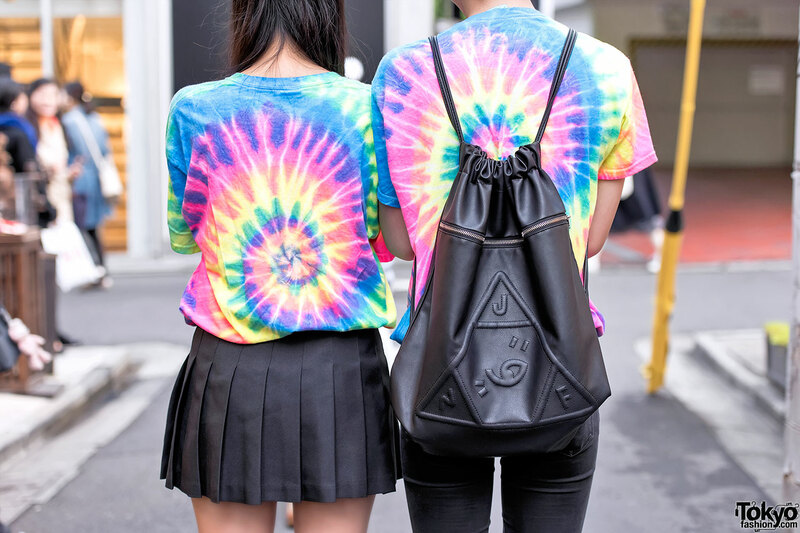 Michi and Yoshiaki caught our eye on the street in Harajuku with their colorful matching tie-dye. We found out that they are brother and sister and that they have quite a strong Japanese following on Twitter and Instagram. 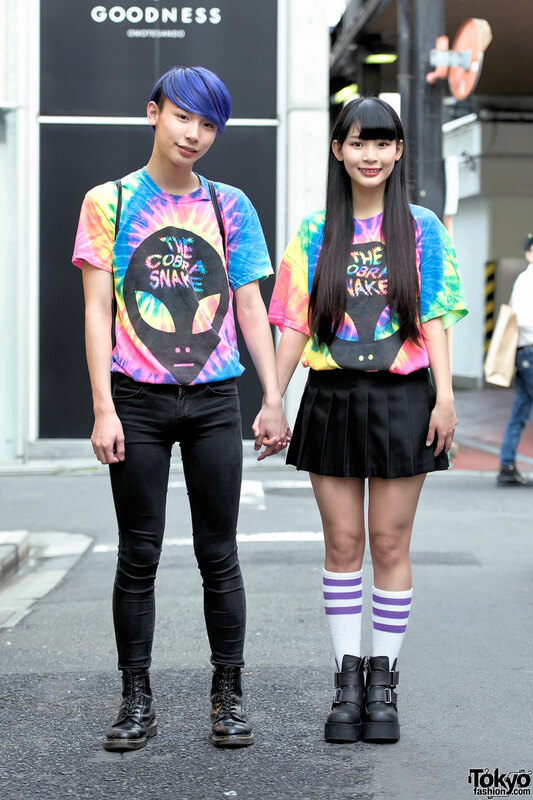 Michi – 17 years old on the right – is wearing a resale tie-dye Cobra Snake t-shirt with an American Apparel pleated skirt and UNIF platform boots. Her favorite fashion brand is Pameo Pose and she likes the music of Aqua. Michi is active on both Twitter and Instagram if you’d like to know more. 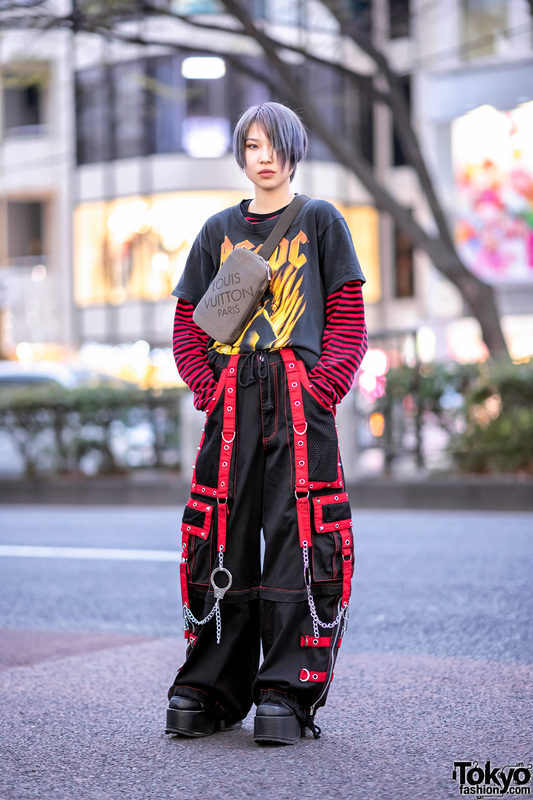 Yoshiaki – 14 years old with purple hair on the left – is wearing a matching resale The Cobra Snake t-shirt with Uniqlo skinny jeans and Dr. Martens boots. His leather backpack is from UNIF. His favorite musician is Charli XCX. Find Yoshiaki on Instagram or Twitter for more pictures.